Vivid prints? Check. Energy efficient? Check. Wholly unique? Absolutely! Meet Relamp, the new, Minneapolis-based company that creates printed LED light bulbs. Discover how Founder and CEO Jess Schaack took her business from concept to finished product. Over the last few years, the Edison bulb trend dominated at Lightovation and market centers across the country. So many companies from Hinkley to Stylecraft to Mitzi created fixtures designed to showcase these unique bulbs, giving their fixtures a little industrial flair. Well move over, Edison bulbs. There's a new decorative light bulb in town. Launched at the beginning of 2018, Relamp, the printed light bulb, makes a serious statement — both lights on and off. Available in 12 unique prints from marble looks to giraffe prints, these LED bulbs illuminated spaces without casting the color or print on the wall. But that's not all. RELAMP's Founder and CEO Jess Schaack is on a mission to inspire spaces, promote energy efficiency and give a little back to the community. Read on to learn more about Schaack's company and how a little thought turned into a big idea. Lighting & Decor: You clearly had a creative idea for Relamp, but how did you take that idea and turn it into a business plan and ultimately a finished product? Jess Schaack: The idea came at a time when I wanted to start a business. I had been working part-time while my children were little, doing a slow flip of our first house with my husband and occasionally working on my product and brand ideas. I quickly realized this idea of a printed light bulb could deliver on all of the things I hoped to have in a business — so I was eager to bring it to life and push it forward every day. This was key because I had two big hurdles right at the start. The first big hurdle was figuring out how to do it. Fortunately, my husband has experience in the electrical and manufacturing industries and was a great partner. It took months of research and about 20 prototypes until we had something promising. We then found a local company that could help us refine it and produce them. The second big hurdle was working through our Intellectual Property strategy. Being the first to develop this kind of product required that we put measures in place to protect it, so we did a lot of research and surrounded ourselves with smart people. When I was finally able to really dive into the Relamp brand, I had developed a clear vision of what I wanted it to be, and just started tackling things one at a time. I worked with a local designer named Lori Knisely on the logo and a few other key elements. And then I started tackling all of the other pieces myself - from choosing packaging to writing the copy to creating the website. Altogether, it was a little over a year from idea to launch. LD: How does the bulb printing process work? JS: Basically, we adhere an image to the glass of an LED light bulb through our proprietary process. This process allows the light to cast evenly through the bulb (and not project the print on the walls) while providing as much light as possible. This was key in ensuring they could be used in a variety of spaces and contribute to a design without taking over. We print them locally in small batches and each bulb has a slightly different layout and variations that make it unique. LD: How can people incorporate the printed light bulbs into their design? JS: Our light bulbs provide an easy makeover to any exposed fixture — from your desk lamp to pendant light or chandelier. We launched with 12 designs that were selected to work in a variety of spaces and color palettes, from neutral to bright. 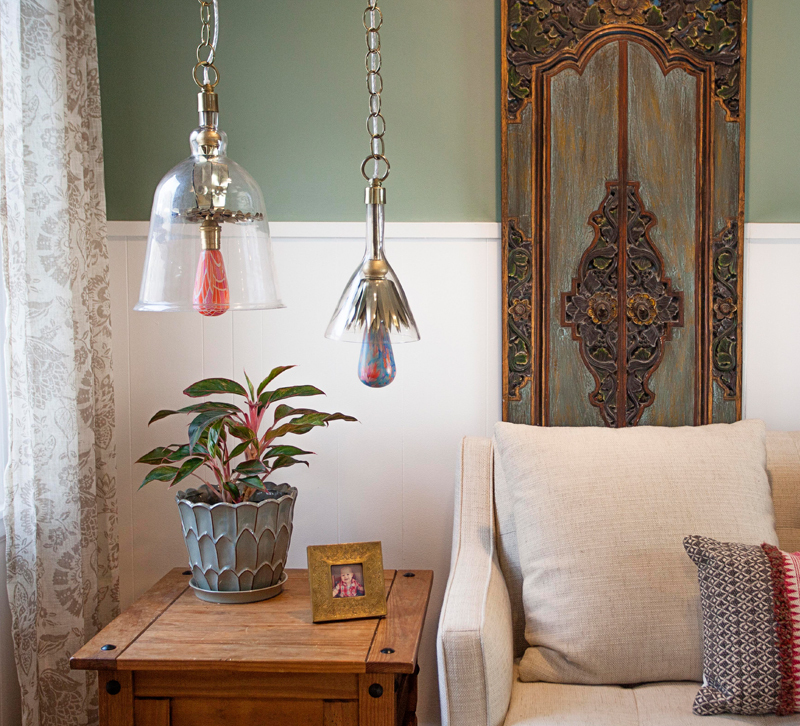 From there you can really choose the light bulb that speaks to you and use it as a statement piece or a collaborative part of your overall design. Since each bulb is unique, a group of one design or mix of designs will both be visually interesting. It has been so fun to see the creative ways people use them — from light marble bulbs for a fresh take on a sputnik fixture to our cloud bulb with brass for a fun take on mid-century modern — or giraffe print at the office to create an inspiring workspace. LD: Will you add any more shapes and patterns? JS: Yes! We have a few more bulb shapes in the works and will launch some new designs in the fall. We’re closely watching what designs people choose and how they use them – and love hearing what people want to see next! LD: Relamp gives 10 percent of its net profits to nonprofit charities. Which charities or causes will Relamp be supporting? JS: Our mission is "Change A Light Bulb, Change The World," and every time you Relamp you reduce energy use, support worthy causes and spark creativity through our Recreate Challenge to re-use our packaging before it’s recycled. With the 10 percent charity donation, we support and promote charities that are looking at problems in a new way and are a light for the people they serve. We choose a new featured charity each quarter and our first two have been The Cancer Couch Foundation, which is working to find a cure for metastatic (stage 4) breast cancer, and Jeremiah Program, which is helping single moms and their children emerge from poverty. We’ll announce our next charity July 1st. LD: What's the next step to grow your business? JS: We launched just a few months ago, so creating awareness is still a major focus across all channels. 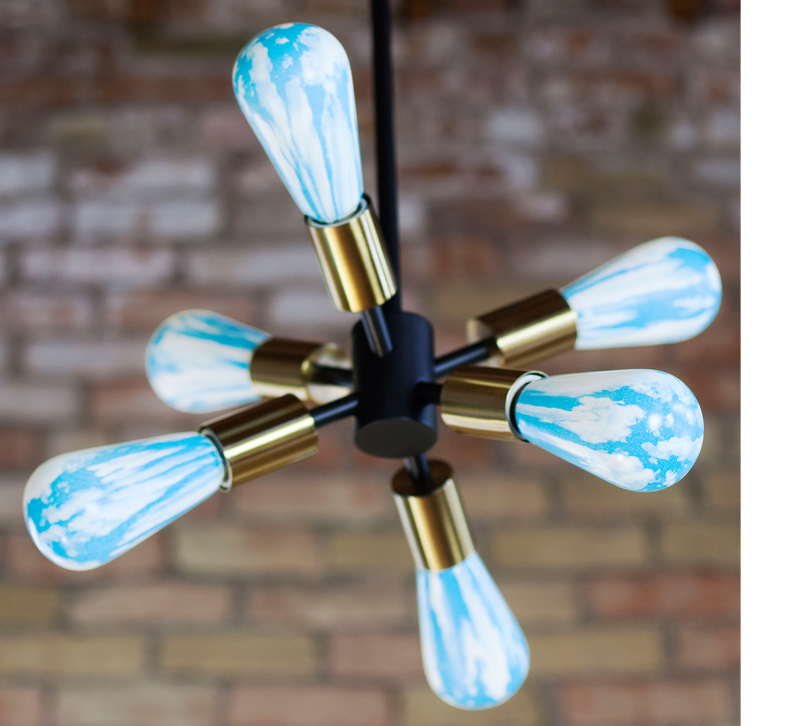 We launched our wholesale program last month and have our light bulbs in lighting and home decor stores in Minneapolis, St. Paul, Chicago and more on the way. We will be launching a collection of table and desk lamps next month that my husband and I designed to complement our bulbs and make here in Minneapolis. We’ve also got some exciting partnerships in the works that I am excited to share soon! Relamp sells its printed light bulbs online at www.relamp.com, and retailers can also order them wholesale to be sold in their stores. 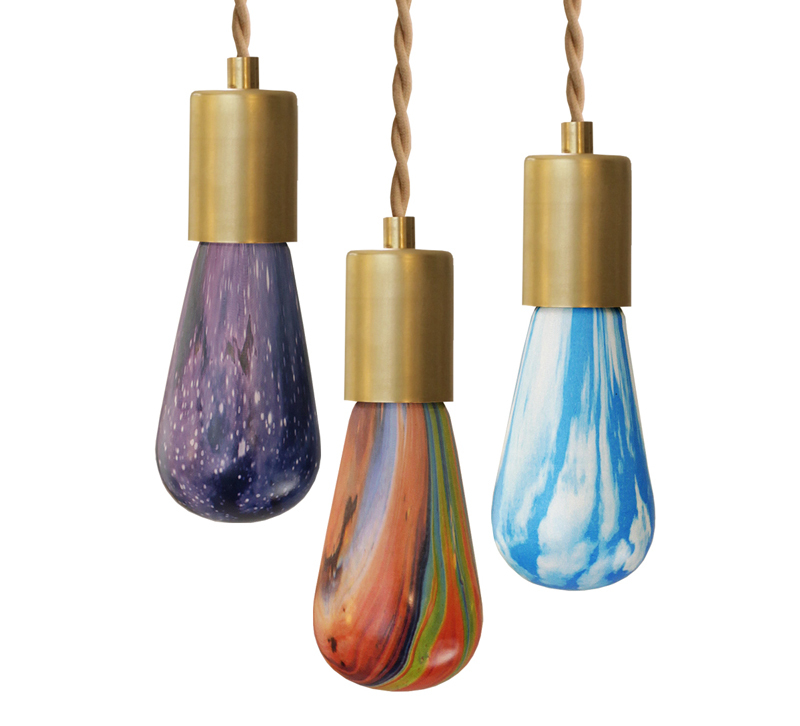 Share with us: How would you use these printed light bulbs to style a room? Share with us in the comments!